Our Turkana safaris take us deep into the heart of the Suguta Valley, once described as "the harshest terrain on the planet." I don't know about that, but just the fact that it was said is enough! 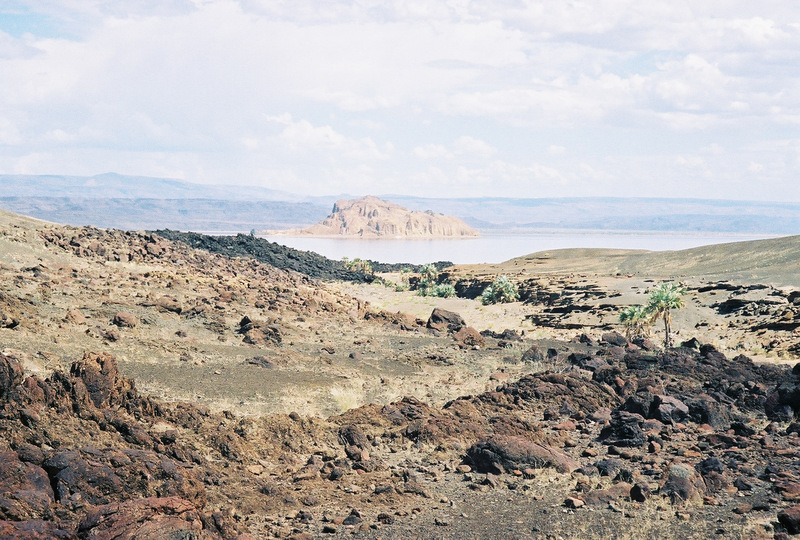 Turkana is a young volcanic desert, whose terrain is not sand like the Sahara, but mostly volcanic rock. Temperatures there can top 125F during the day, and winds gust at who knows what velocity. The Turkana people who live there are amazing, living their lives in this incredible desert. They are nomadic herdsman, fierce warriors, very reserved, but can also be warm and welcoming. We start in Baragoi, where we load up the donkeys with our food, water and supplies, and head out into the bush! In Baragoi it's not nearly as hot, and there is more vegetation, so it's a good way to start; it's still hot, but we work our way up to the real heat of the valley as the days go on. We typically walk for 10-13 days, depending on the route we take and what we want to see along the way. We walk through the land, collecting water from dry riverbeds every chance we get, sometimes passing villages along the way, and just wandering in that incredible landscape. We may visit one of a few permanent villages, or just see the nomadic ones we pass by chance. We get fresh goat, cow or camel milk for our tea, and welcome the elders from the village when we camp close to one at night. But most of all, we walk. That is what this Safari is all about, walking. Walking in that incredible heat, through that brutal landscape, until simply putting one foot in front of the other seems like an impossibility, and yet it always happens. Out there, you find hidden physical and mental reserves that you never knew you had, because you have to, there is no choice. Once we are in the bush, there is no going back, we have to keep going. Our goal is Loyangolani, the oasis village on the edge of Lake Turkana. Lake Turkana itself is an incredible sight. An ancient sea that gives off a jade glow at the right time of the day and year, it is an anomaly out there in that incredible desert. Nile perch, the largest concentration of crocodiles in the world, it is amazing, truly amazing. 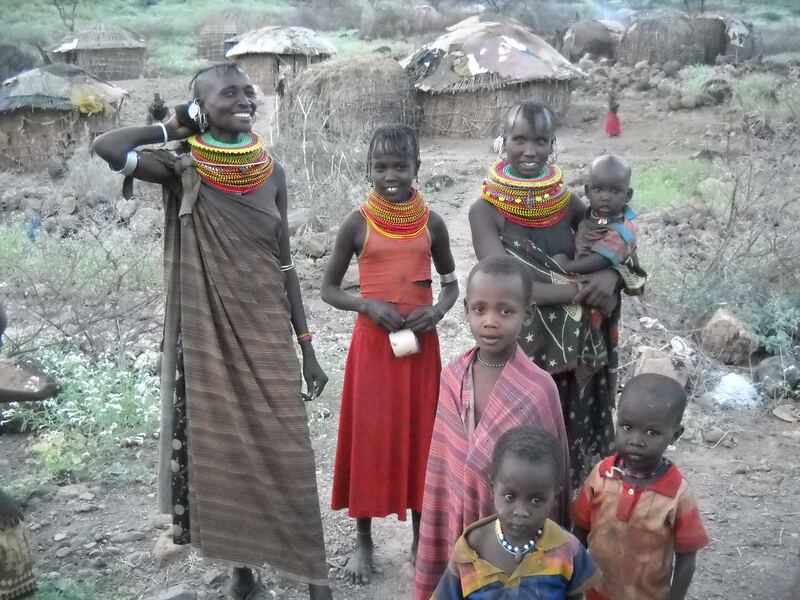 And then there are the Turkana people. They are like the Masai in that they are very prideful, and have little or no interest in anything from the outside influencing their culture. Yet they are open and friendly and interested in who you are and what you are doing there. They are a wonderful, fun, yet reserved people. Between the Turkana people and being at the lake, it is an adventure like nothing I have ever done before. These safaris are rough, and you need to be in top physical (and mental) shape to do them, but they are like nothing you have ever experienced. It can be incredibly difficult to walk the many kilometers each day in that searing heat, walking over lava rock the whole time, where your foot rarely finds a flat footfall. But what you see and experience while you are out in this amazing desert will be like nothing you have ever experienced before. You will walk away from it having experienced what few people outside of the Suguta Valley have seen, and I guarantee you, it will change you! Check out the book for a more detailed description of my first safari through this incredible land. All our safaris are custom tailored, so contact us for more information. Looking for something a little more tame?